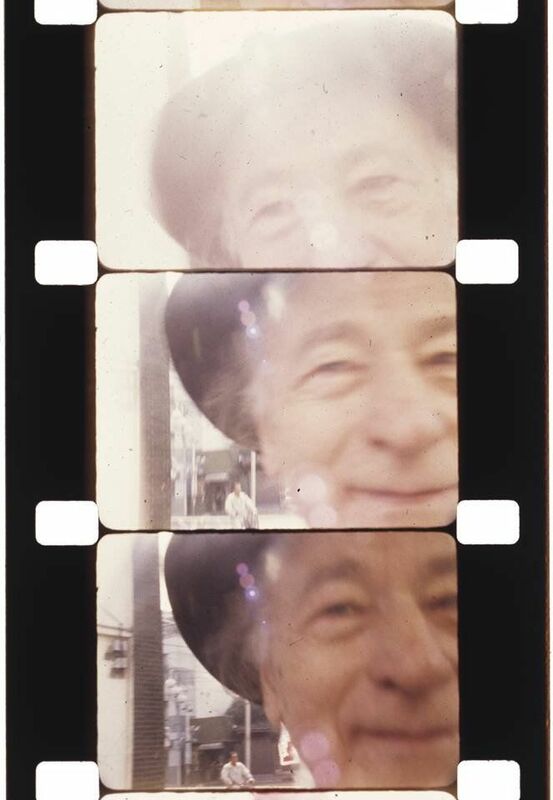 Jonas Mekas, the Lithuania-born, New York-based “godfather of American avant-garde cinema”, has died aged 96, his gallery, James Fuentes, confirms. He led an unparalled career in filmmaking and criticism. Without Mekas, “experimental film is unthinkable”, Stuart Comer, the chief curator of media and performance art at the Museum of Modern Art, New York, told The Art Newspaper in 2016. Mekas, born on Christmas Day in 1922 in the farming village of Semeniškiai in Lithuania, led a tumultuous early life. A member of the resistance during the Second World War, he was captured by the Nazis and brought to a forced labour camp in Elmshorn, Germany along with his brother, Adolfas, in 1944. The brothers were in displaced persons camps after the war in Wiesbaden and the suburbs of Kassel, where he recorded the miserable conditions of daily life. “It was a dark, bleak postwar period. These are images out of darkness,” Mekas said in 2017, when a selection of these photographs went on show at Documenta 14 in Kassel. Mekas also co-founded the New York-based Anthology Film Archives, which opened in 1970 with a screening space, library and film museum, and is dedicated to preserving, studying and exhibiting film and video, particularly independent American and avant-garde films. “Sometimes it is frustrating, but I consider that it is like a cathedral of cinema and I am determined,” he told The Art Newspaper in a 2016 interview about the difficulty of fundraising for the institution in Hollywood. “I know it will one day be finished because many cathedrals took a long time to build.” He has taught at institutions including the New School for Social Research, New York University and the Cooper Union in New York, and the Massachusetts Institute of Technology (MIT) in Cambridge. A major player in the downtown New York avant-garde scene, Mekas pitched the idea (from his protégé John Palmer) to Andy Warhol for his silent film Empire, which he made with Warhol in 1964. The film, just over eight hours of slow-motion footage of the Empire State building from a single, stationery view, premiered in March 1965 at the Film-Makers’ Cinematheque, which was founded by Mekas. The only “action” in the film—which Warhol said was “to see time go by”—is the turning on of the skyscraper’s lights, and the turning off and on of the lights in surrounding buildings. His work has been shown at venues and events including MoMA PS1 in New York, the Ludwig Museum, the 2005 Venice Biennale, Art Basel, the Serpentine Gallery in London and the Jonas Mekas Visual Arts Center, which opened in Vilnius in 2007. Ever adapting to new technology, the filmmaker made 365 short films and released one per day in 2007 on his website in what he called The 365 Day Project, still available to view online.